Obituary for Willie V. Willis | Jones Clark Funeral Home, Inc.
Mrs. Willie V. Willis, age 91, passed from this life on Monday, December 3, 2018 at approximately 5:56 a.m. at Springview Nursing Home in Lima. She was born on April 10, 1927 in Grenada, Mississippi to the union of Pilgrim and Rosie (Simpson) Conley; both parents preceded her in death. In 1944 she was united in holy matrimony to Mr. Guy Willis, he preceded her in death in 1998. Mrs. Willis was a Homemaker She was a member of Second Baptist Church. 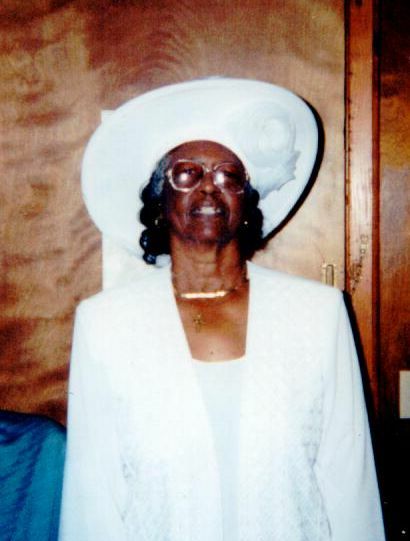 She was formerly a member of Little Rock Missionary Baptist Church of Grenada, Mississippi. She loved to read the Bible and listen to gospel music, she also loved to plant flowers. She lived all her life in Grenada but moved to Lima with her daughter in October of 2014. She leaves to cherish her precious memory daughter; Rosie Mack of Lima. OH. 2 grandchildren; Lisa Scheele (Jerry) of Zanesville, OH and Ernest Mack, Jr. of Columbus, OH. 2 great grandchildren. Kirsten Hartly (Kyle) and Donte’ Scheele both of Columbus, OH. A host of nieces, nephews, other relatives and friends. She was preceded in death by 4 sisters; Mavie Willis, Rosie B. Starks, Alice T. Conley and Woodsy Joseph. 6 brothers; Junior Conley, Byrd Conley, Jessie Conley, Jack Conley, Howard Conley and Collie Conley. Home Going Services will be held, Friday, December 7, 2018 at 12:00 noon at Second Baptist Church with Rev. Dr. Dennis Ward, officiating. Visitation/Wake will be held on, Friday, December 7, 2018 at 10:00 a.m. until times of services also at the Church.